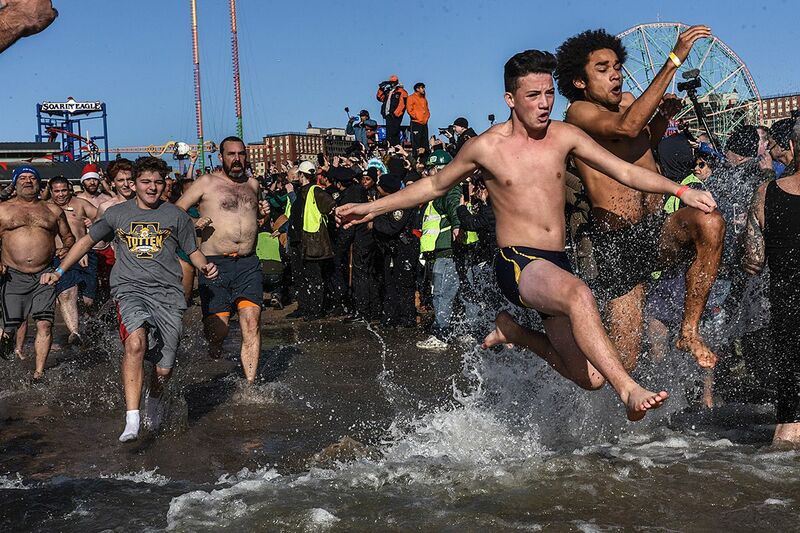 Thousands of people kickstarted their 2019 by going for a swim in the Atlantic on New Year's Day during the 115th annual Coney Island Polar Bear Club Plunge. 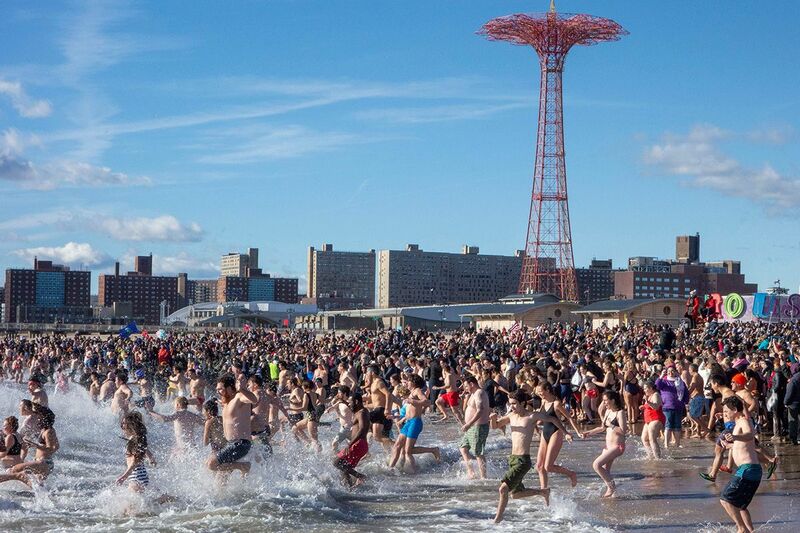 The club, which is the oldest winter bathing organization in the United States, swims in the Atlantic Ocean at Coney Island every Sunday from November through April. 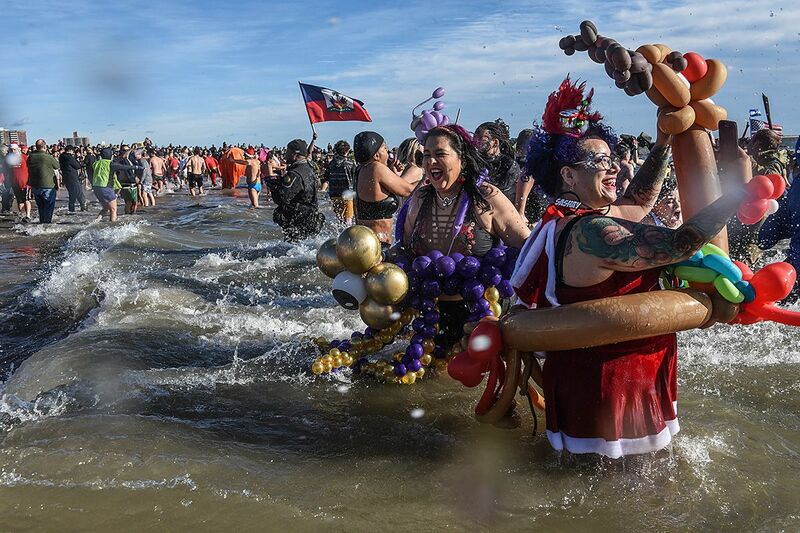 Since 1903, they have also been hosting a public New Year’s Day Plunge open to anyone who wants a New Year they'll remember. 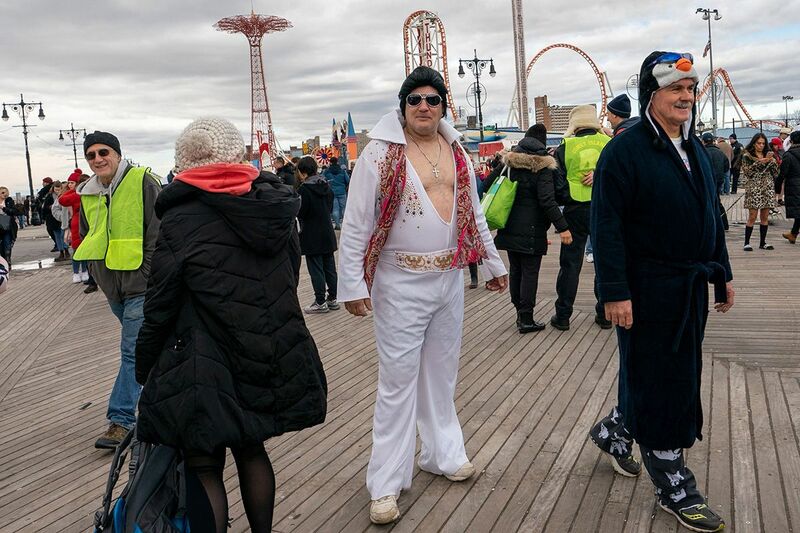 This year's event saw a high turnout, no doubt boosted by the unseasonably mild weather conditions. 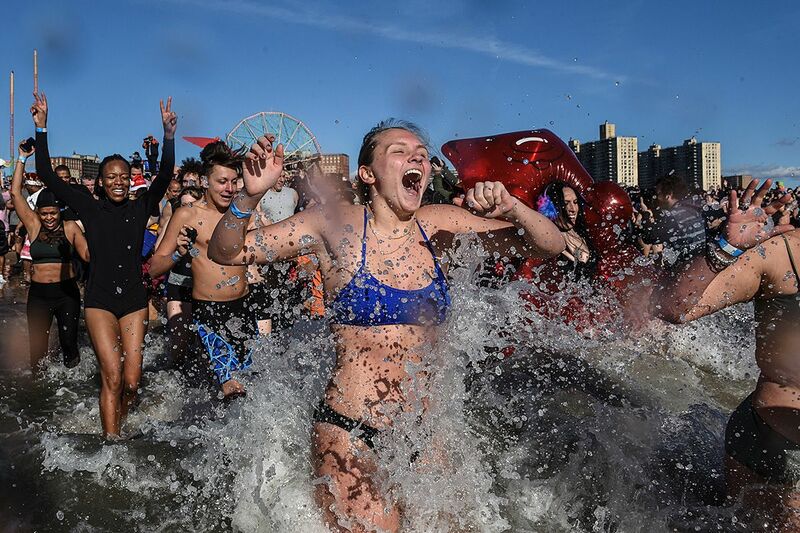 The temperature on New Year's Day 2019 in the Brooklyn borough of New York City was in the high 50s, which is positively balmy compared to 2018's 17 degrees Fahrenheit. 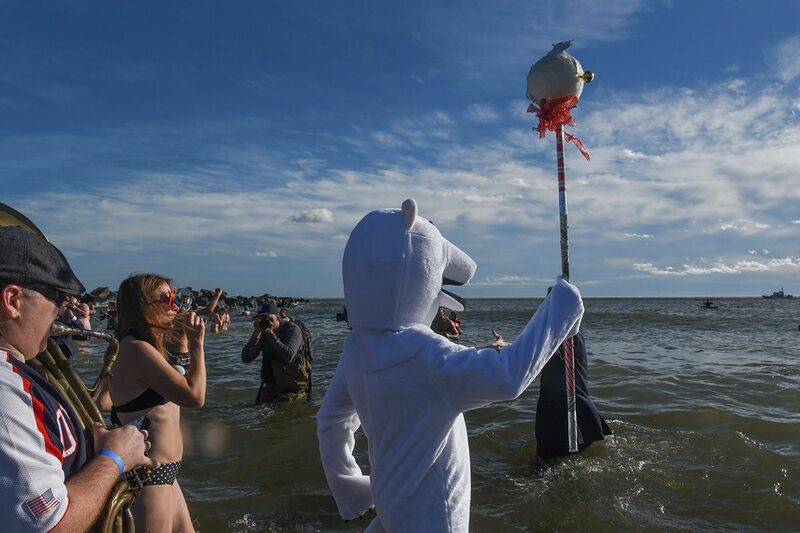 The ocean was still very cold, however, and some poor souls managed just a couple of seconds before running back to the relative warmth of the sand. 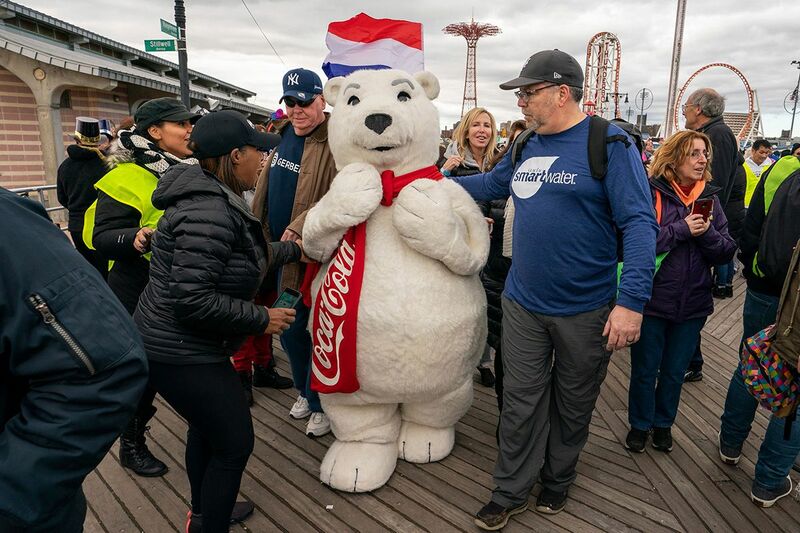 Some hardier folks stayed long enough to take part in an impromptu volleyball game, according to local community news site Brooklyn Vegan. 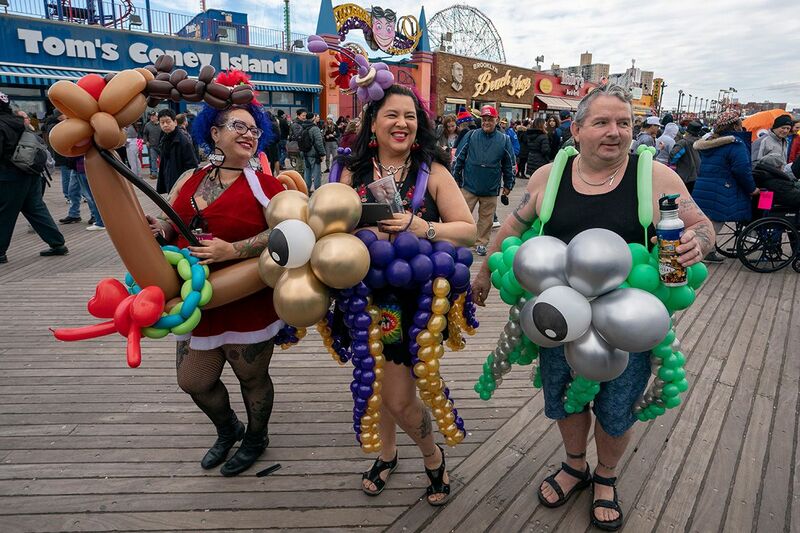 This year's event has so far managed to raise over $50,000 to support local organisations such as the New York Aquarium and Alliance for Coney Island, which aims to support local communities as they continue to recover from the devastation wrought by Superstorm Sandy six years ago. 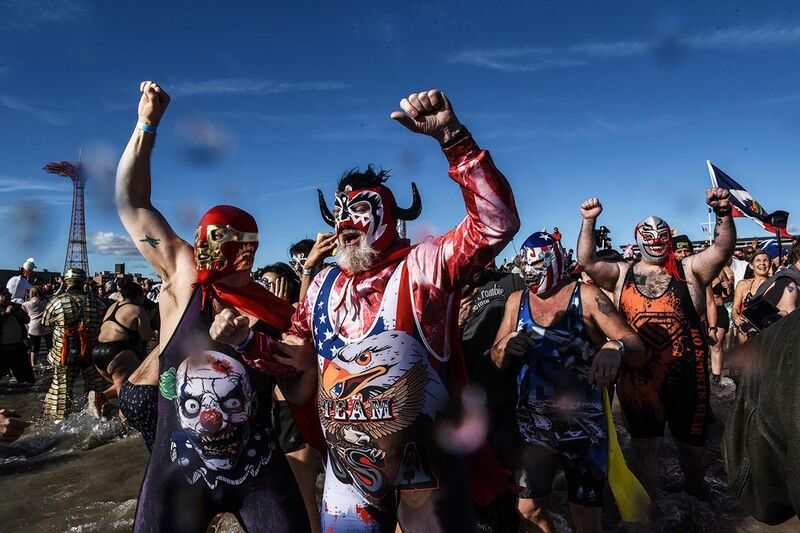 The target is $80,000, and the donations site is still open. 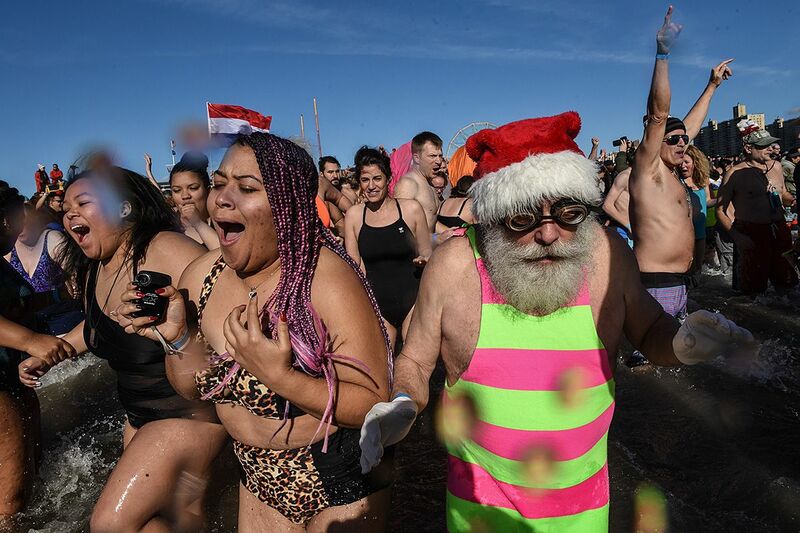 These photos show people taking part in the 2019 Coney Island Polar Bear Plunge and going for a swim in the Atlantic on New Year's Day wearing bathing suits, Santa suits, wacky costumes, or just their clothes. 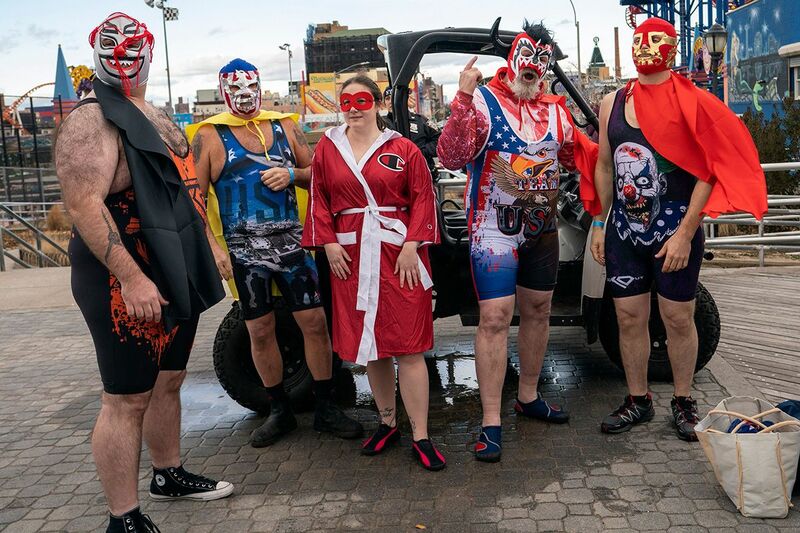 Here's to 2020.